Forget your wake adages: this isn’t the post-Funeral party, the celebratory exhalation of relief following the enduring of an impossible to pinpoint pain. Arcade Fire’s Neon Bible is an album luscious of misery; it’s fully and deeply rooted in foundations rich in the dramatically maudlin and endearingly melancholic. It’s a gathering of individuals wearing frowns ‘pon their brows and tears in the creases under their seen-it-all eyes. It’s easy to become enveloped in what may or may not be the thematic threads that weave in and out of these eleven songs; there seems to be some disaffection for the band’s profile in the wake of international exposure and almost universal acclaim. Lyrics can be twisted into metaphors for many a meaning: ‘Keep The Car Running’ because we’ll need to make a quick get away if this all turns sour, perhaps? The desperation that pervaded so many of Win Butler’s howls an album ago remains, but it’s informed by a new intelligence: the band has the listener within their warm, moist palm from the get-go this time out, and there’s no need to over-egg the emoting. Of course, this occasional employment of restraint doesn’t prevent the Canadians from smothering their arrangements in the finest embellishments available: a succession of songs leave the listener fully sated so far as appetites for compositional cherry-on-tops go. ‘The Well And The Lighthouse’ is as grand as the most successful showtune, all glitter and glitz and glamour sparkling above an underbelly of discomfort and, quite probably, despair. For it is these kinds of emotions, still, that influence so much of Arcade Fire’s material. Even when the collective offer us their finest Springsteen impersonation, on ‘(Antichrist Television Blues)’, they’re far from fist-punching in their expressing of innermost rumblings and ripples. Everything’s got a dour demeanour to it; everything’s a little sadder than it should be given the millions of ears sure to turn this record’s way. “How come nothing tastes good?” they question; “Nothing lasts forever, that’s the way it’s gonna be.” There’s so much negativity coursing through the veins of this record, so many shocking shrieks and mumbled whimpers of displeasure at something that’s not quite specified. The arrangements, too, seesaw between the oppressive and the apologetic. ‘Black Mirror’ is blunderbuss boisterousness tempered by a tenderness borne of family ties within the group, a swooping, swooning opener that sets a tone that rarely shifts throughout – a tone that’s a few baby steps on from their breakthrough but far from the epic leap some might’ve expected. This is no ‘difficult’ second album; if anything, it’s almost too easy to absorb, digest and expel. 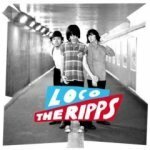 Which, in a way, is indicative of its brilliant pop credentials – these songs are great as a coherent album and when taken as standalone tracks, as many download-friendly followers will be receiving them as. 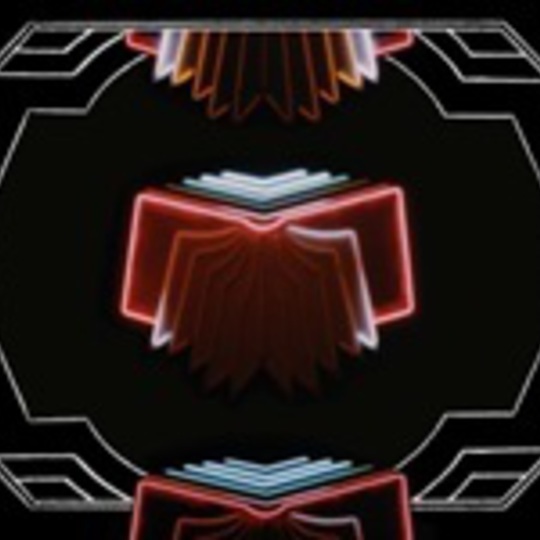 But, in turn, Neon Bible therefore lacks the absolute unity of its predecessor – there was something about Funeral that made it a sit-down, turn-up, tune-in experience. This, although a fine collection of songs, doesn’t have that grab factor. Perhaps it’s because the advantage of surprise is no longer on Arcade Fire’s side, or perhaps it’s because of the myriad interpretations that can be drawn from these engrossing, but often bewildering, lyrics. There’s just something amiss. Ever so slightly, but left of centre nonetheless. 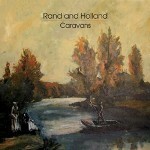 Great – truly great – songs are in abundance here – the twin-part ‘Black Wave / Bad Vibrations’_ is magnificent, each of its multitude of layers more glorious than the last, and ‘No Cars Go’ is a brilliant echo of their most excellently effervescent songs of an album past – but the sourness that remains once the final murmurs of ‘My Body Is A Cage’ fade away is difficult to wash away with anything else but a return to Funeral. Closure’s ambiguous in its execution – the listener leaves each session with Neon Bible with many a question unanswered. But perhaps the true beauty of Neon Bible is its imperfection. Had it proved to be the be all and end all of indie records, where the hell would Arcade Fire go next? This, like Bloc Party’s A Weekend In The City, sets up album three as something incredibly special – both sophomores are flawed, for sure, but amazing nonetheless. With Glastonbury on the horizon, 2007 is the year that Arcade Fire go mainstream in a major league fashion; their In Utero, though, is certain to be fascinating.